Community gardening in the United Kingdom, or “allotment gardening” as they call it across the pond, is a hugely popular activity with long waiting lists for available plots. A new study by the Journal of Public Health showed that there’s some science behind this passion for gardening. Even short weekly sessions can improve mental health and boost self-esteem and potentially have a positive impact on the gardener’s physical health as well. The British study, which involved 136 gardeners and 133 non-gardeners, found that gardening participants experienced “significant” improvement in self-esteem and mood after just one allotment session (i.e. community garden session). The study also found that the gardeners experienced less depression and fatigue, lower levels of tension and anger, and had better general health. Gardening participants who gardened for at least 30 minutes a week also had lower BMIs. We at Inhabitots have been encouraging people to join community garden plots and gardening with our kids for years. Community gardening in particular is a great way to cultivate a sense of community, to help kids learn about a variety of fruits and veggies growing, to take advantage of public green space (especially when you live in an apartment or a place without any garden space), and to promote a natural connection with the earth. Community gardening in the United Kingdom, or "allotment gardening" as they call it across the pond, is a hugely popular activity with long waiting lists for available plots. A new study by the Journal of Public Health showed that there's some science behind this passion for gardening. Even short weekly sessions can improve mental health and boost self-esteem and potentially have a positive impact on the gardener's physical health as well. The British study, which involved 136 gardeners and 133 non-gardeners, found that gardening participants experienced "significant" improvement in self-esteem and mood after just one allotment session (i.e. community garden session). The study also found that the gardeners experienced less depression and fatigue, lower levels of tension and anger, and had better general health. 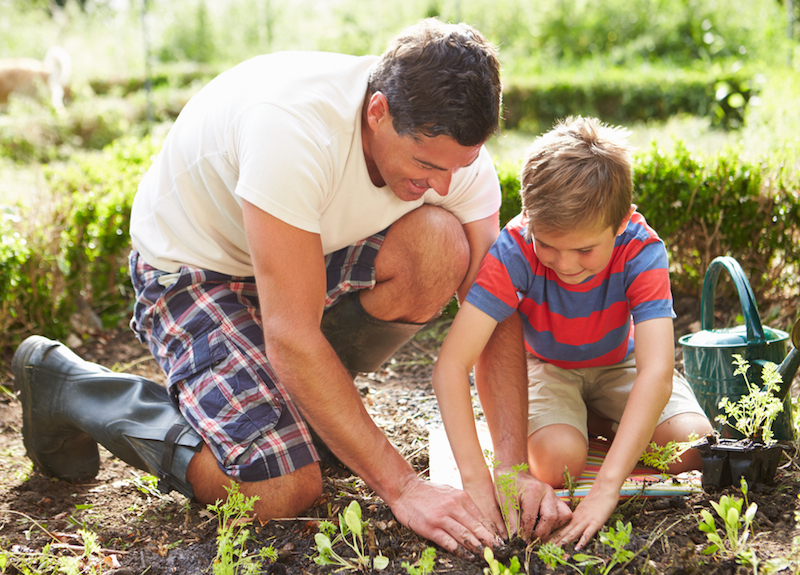 Gardening participants who gardened for at least 30 minutes a week also had lower BMIs.�We at Inhabitots have been encouraging people to join community garden plots and gardening with our kids for years. Community gardening in particular is a great way to cultivate a sense of community, to help kids learn about a variety of fruits and veggies growing, to take advantage of public green space (especially when you live in an apartment or a place without any garden space), and to promote a natural connection with the earth.